The EON Enterprise Virtual Training (EVT) solution provides a unique 3D virtual training collaborative environment that allows a Trainer to train ‘students’ either locally or remotely (Remote Collaboration). The Trainer starts a ‘Lesson’ that consists of a 3D virtual model within a 3D virtual environment, the Student via a Head Mounted Display (HMD) is immersed in this virtual environment and receives either direct instructions via VOIP from the Trainer or instructions/prompts from within the 3D environment or a combination of both. The solution provides for multiple views of the environment: POV, Classroom view (a number of local or remote Users can watch and share the training experience), ‘Birds-eye’ view and ‘remote camera’. The Student can interact fully with the 3D virtual environment, and can use virtual tools to perform actions on the model, as well as use assets such as virtual wipe-boards and virtual tablets within the environment. At any point during the training scenario the trainer or the ‘student’ can pause or rewind the ‘Lesson’. The ‘Lesson’ script consists of instructions, comments and links to other training assets such as Help text or a YouTube video. The training scenario is recorded and all the actions (Learning Outcomes) of the Student are individually recorded and assessed against benchmark scores for future analysis and review. Mats W. Johansson is the Co-Founder, President and CEO of EON Reality Inc. which is the world’s leading interactive 3D software and simulations based learning provider for businesses and education based on Virtual Reality technology. In this capacity, he has developed partnerships and business with many leading companies worldwide such as Microsoft, HP, Nvidia, Atlas-Copco, Suzuki, Lexus, Boeing, Cornell University and Imperial College to mention a few, he also played a key role in the company’s rapid growth. Mats has over 20 years of experience in 3D Interactive Simulation technologies and is widely recognized as a leading innovator in his respective field. Mats specializes in strategic issues surrounding the development and transition of EON’s applications particularly in the Aerospace/Defence, Education, Energy and Manufacturing sector. 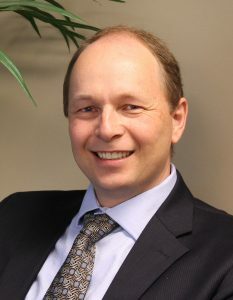 He has been regarded as a subject matter expert and has been the program manager/consultant for many different projects such as Volvo Car engineering analysis, as well as Oil and Gas simulation and analysis projects in the North Sea. Mats earned a Master’s Degree in Mechanical Engineering from Chalmers University and an MBA in International Business Administration from Gothenburg School of Business.